One day (when I'm a inexplicably vastly wealthy) maybe I'll make it to one of the awesome overseas conventions like Essen or Gen Con, but until then I'll have to attend vicariously through the Twitter feeds of others like a slightly geeky stalker and marvel at the shiny new games from afar. 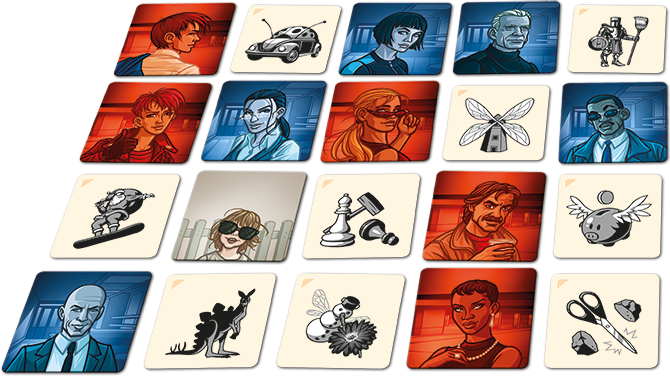 After the stellar success of Pandemic Legacy: Season 1, King of the Legacy game format Rob Daviau has gone it alone for this seafaring adventure. SeaFall puts each player in control of their own empire and lets them explore, trade and fight in a world that changes with every game. Goodness knows where I'll find the time for this when we're still only half way through Pandemic: Legacy but I'm determined to try this out somehow - luckily there's still a bit of a wait until this will be available. 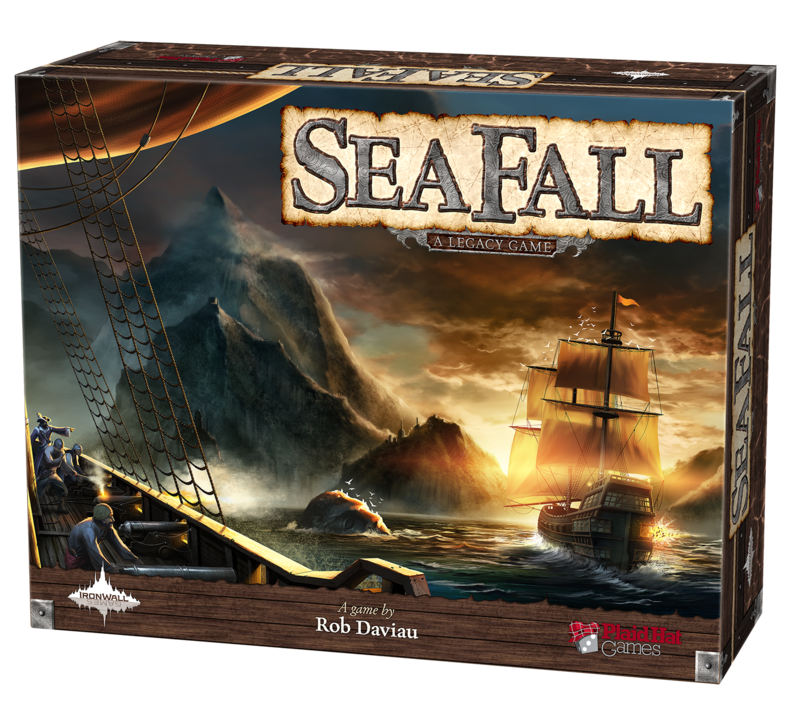 Pandemic has been huge amounts of fun so far and SeaFall has been a long time in the making so I'm convinced this is going to be good! It'll also be interesting to see how the format works when we're not working as a team (having never tried out Risk Legacy because, well, it's Risk, and sadly I'm not a fan). I love, love, love the original version of Codenames, the word-linking party game from the awesome Vlaada Chvátil (Galaxy Trucker, Mage Knight, Dungeon Lords) and having tried out a prototype of Codenames: Pictures at the UK Games Expo I think I like this version even more. There seems to be more potential for some super-tenuous links that really test how much you're on the same wavelength as your friends. 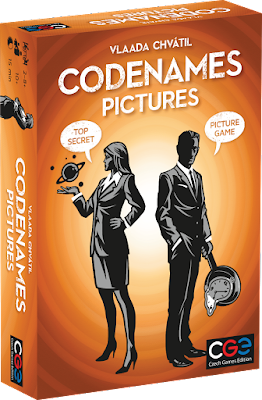 Codenames: Pictures was pre-released at Gen Con but won't be available on general release until September, so I still have a little while to wait until I can get my hands on a copy of this! 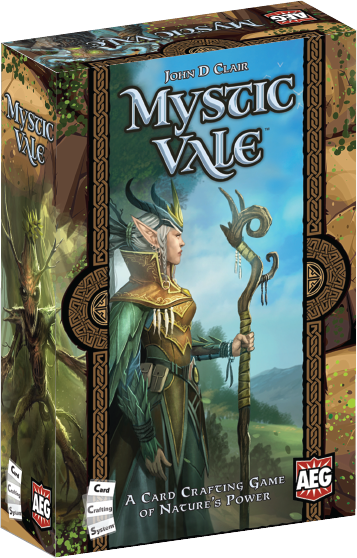 Mystic Vale is billed as a 'card crafting game' where you're not only building a deck but also the cards within it. The system allows you to slot together sections of card within sleeves to form individual custom cards which look really cool! 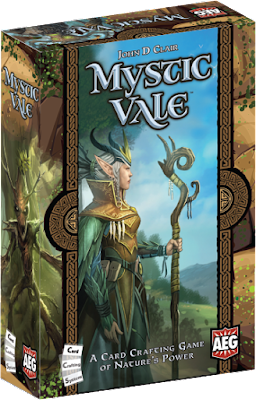 Whilst the artwork is beautiful, I'm mainly drawn to the card-building system as it looks like it would have a ton of replayability along with the novelty value. 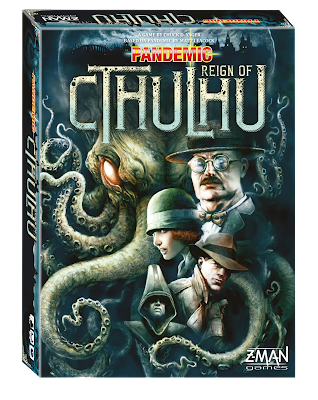 It seems that you can't have a game franchise these days without making a Lovecraftian version at some point, and now it's the turn of disaster-aversion brain-burner Pandemic. After days of patient hovering around the demonstration table at UKGE we managed to get a game of this before it was released (well, 1.5 games, since we were immediately beaten in our first game...) as well as a couple of games on friends' pre-release copies. I really enjoyed the new theme and mechanics, and whilst I'm not sure it'll get huge amounts of play the new version is different enough from the original to be fun. 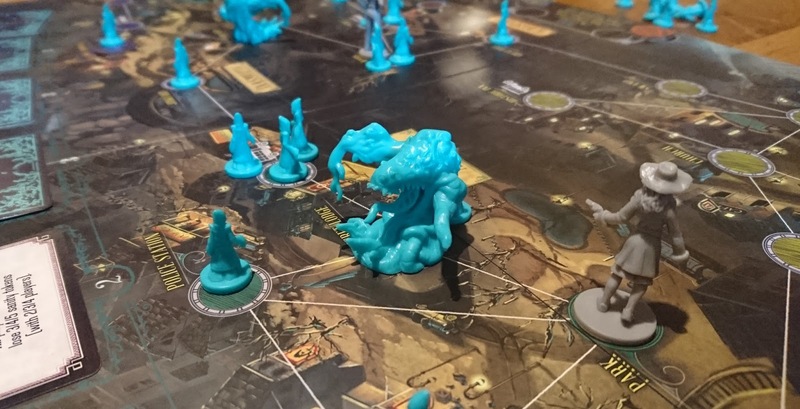 First thoughts from UKGE are here if you want to read some more. So many games to look forward to! What are your favourites?